FREE at app store - Latest HappyGiant Release For iPad & iPhone. HappyGiant has come out with a new game where you interact with dolphins. Take a look at the trailer and some screenshots, followed by their press release. If you have an iPad or iPhone, you can go download this free game right now. Enjoy! If you ever dreamed about having your very own dolphin or Orca, now you can! 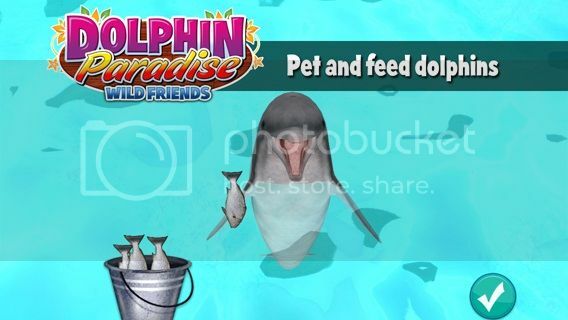 Thanks to HappyGiant, you can play with your own dolphins in the highly entertaining, free-to-play 3D pet-sim, "Dolphin Paradise: Wild Friends" (https://itunes.apple.com/app/id556988342) for the iPad and iPhone. Mike Levine, CEO of HappyGiant and long time game industry veteran, explains how the idea came to life, "I was lucky enough to swim with wild dolphins in Kaikoura, New Zealand years ago. As a game designer I was so mesmerized with their grace and beauty that I had the idea to create a virtual experience, out of the experience." But he had to wait for the right platform. When he saw the iPad and iPhone with it's touch capabilities and high retina display, he knew it was the perfect platform. 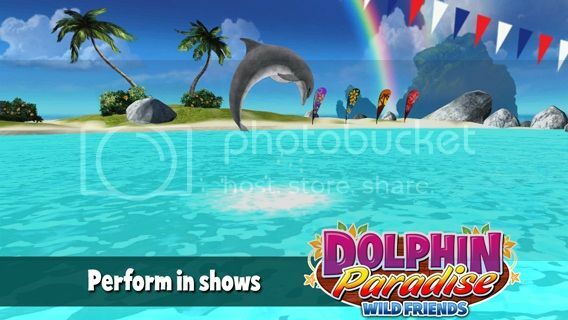 The game turns your iOS device into a virtual lagoon and is captivating from the moment you first meet your dolphin. The simulation and gameplay are so realistic, you can almost taste the salty water in the lagoon and feel the silky dolphin skin as you pet these beautiful mammals. 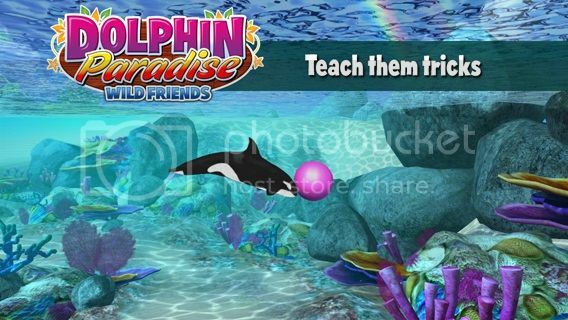 "Dolphin Paradise: Wild Friends" starts with a user-friendly tutorial that teaches you everything you need to know about your wild friend. You'll be introduced to your dolphin and proceed to name, feed, pet, and train it, forming a strong bond. Your pet will require love, affection and feeding in order to stay happy. 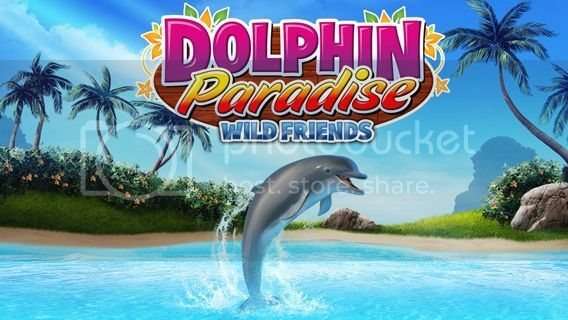 Players will also take on various missions, teaching their dolphins tricks, advancing through higher skill ranks and unlocking increasingly sophisticated dolphin shows where you can show off your pet's high jumping tricks to your friends and family. 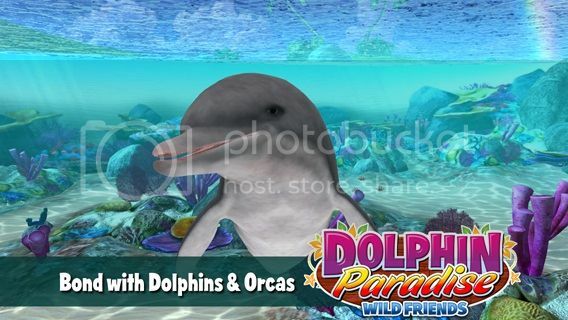 Dolphin Paradise also lets you take photos of your dolphins, using an in-game camera, to share via email, Facebook or Twitter. There is plenty of content to explore as players can purchase different food types, custom props for tricks, decorations for shows and additional sea mammals, including various dolphin types including Orcas. You can also document and share pictures of your dolphin with your friends as you progress through the game.